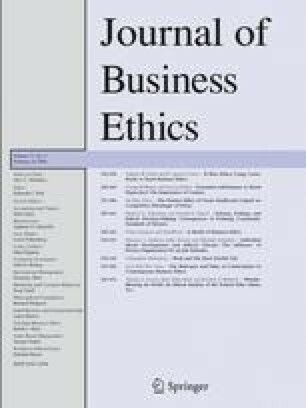 In this article, we describe the influence of violations of community standards of fairness (Kahneman, Knetsch, and Thaler, 1986a) on subsequent ethical decision-making and emotions. Across two studies, we manipulated explanations for a common action, and we find that explanations that violate community standards of fairness (e.g., by taking advantage of an in crease in market power) lead to greater intentions to behave unethically than explanations that are consistent with community standards of fairness (e.g., by passing along a price increase). We find that perceptions of justifiability mediate this relationship. We also find that individuals derive significant psychological benefits (greater satisfaction, greater happiness, and reduced anger) from engaging in unethical behavior following perceived violations of fairness. Maurice Schweitzer is an Associate Professor at the Wharton School at the University of Pennsylvania. His research focuses on the negotiation process, and he is interested in deception, trust, and emotions. His work has appeared in several journals including the Academy of Management Journal, Management Science, Organizational Behavior and Human Decision Processes, and the Journal of Personality and Social Psychology. Donald E. Gibson is an Associate Professor at the Dolan School of Business, Fairfield University. His research focuses on emotions in the workplace, specifically anger. He also does research on organizational role models and social comparison processes. His work has appeared in journals including Organization Science, Journal of Management, Journal of Applied Social Psychology, and Journal of Vocational Behavior. 1.566 JMHH, OPIMWharton School, University of PennsylvaniaPhiladelphiaU.S.A.